While I’m definitely a fan of the fall season, there is something that is so dreary about seeing all the black, grey and brown everywhere. In summer time the colors are so vibrant to match the sunny weather. 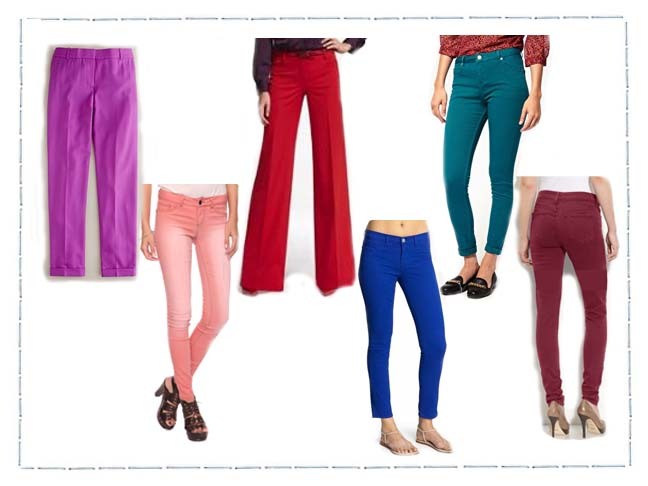 Time to cheer up because now it’s actually on-trend to wear brights this fall season — bright pants! From the season’s “it” red color to cobalt blue to pink, bright pants are everywhere and look great paired with ankle wedge booties or heels.